A man trying to flee police got struck by his own car after he failed to put it in park before getting out and trying to run away from officers, police in Fairfax County, Virginia, say. Officers tried to stop the car for a window tint violation early Sunday morning, but the driver sped away. Then, he stopped to get out of the car to try to escape on foot in the 2600 block of Arlington Drive, police said. 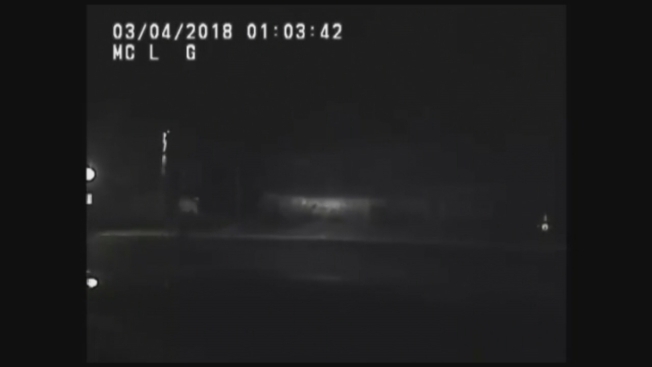 Police dashcam video shows the car starts moving again as the man gets out, and he briefly runs beside the car before apparently stumbling into it and disappearing over the hood. He got up and continued running, but officers caught up to him and arrested him, Telemundo's Alberto Pimienta reported. 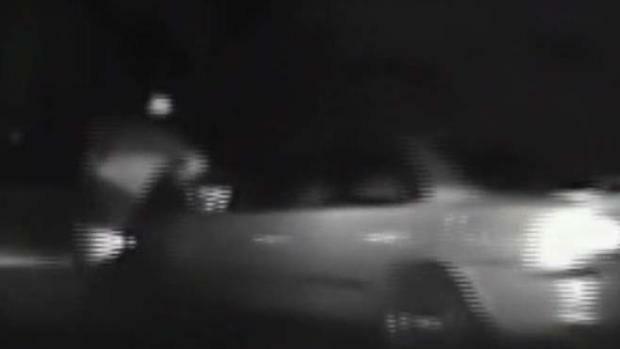 A Fairfax County police camera caught quite the video when a man tried to flee police and got hit by his own car. News4's Shomari Stone reports. The suspect is OK, but he is charged with driving while intoxicated — his third such offense — and a long list of other charges, including driving on a revoked license, possession of marijuana, hit-and-run and possession of an open container while operating a motor vehicle. After the incident, the man was served with warrants from another jurisdiction.